So, you’re producing videos on YouTube and they’re high quality, yet no one is seeing them? YouTube is not a “if you build it, they will come” kind of platform for most people. Sure, some get lucky, but most of us have to work for it a little harder. We have to actually promote our videos that we worked so hard on. 10 different strategies to leverage that don’t cost you a single dime to do. You’ll learn how to leverage not only your following, but other people’s followings, traffic, and influence. Empire.Kred – This site will allow you to get more engagement and views for videos by engaging with other people’s content in exchange. Viral Content Bee – Viral Content Bee allows you to earn credits for sharing people’s content and use those credits to give to people who share yours. JustRetweet – This free platform is somewhat similar to Viral Content Bee, except it focuses on the promotion of tweets. Make sure to include the video link in the promoted tweets. If This Then That – IFTTT allows you to automate a lot of your marketing for free and includes many benefits to YouTube users. Quora – Quora allows you to answer people’s questions and earn a reputation, much like Yahoo Answers. 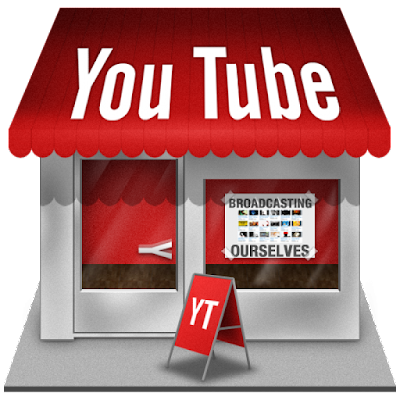 For YouTube promotion, you can use it to answer questions and link to videos for more information. Linkedin Publishing – Use Linkedin Publishing to publish blog posts without even having your own blog. You can embed videos for promotion as well. My Vidster – This site is built for video bookmarking where you can curate videos you love or share links to them for promotion. Scoop.it – Scoop.it is a website where you can curate your favorite content into categories and share them. Videos can also be curated. Reddit – One of the most highly-trafficked sites in the world. If you can share videos on here in a Reddit-friendly way, you could get massive amounts of views from here. Kingged – A lot of people don’t know of Kingged yet, but it’s a great site for promoting content. They’ve been going more towards creating original content on the site, so embed your video with a short, post for more exposure. To startup and to grow a YouTube channel might take a lot of time, effort, patience, and often money. We should create good, compelling videos, and they have to capture an audience at the right time! But sometimes, if our fortune works, something can go viral and end up on peoples’ related videos and recommended videos too. It doesn’t matter how much you involved in producing your videos; if you are not marketing & promoting your youtube videos, your channel will never be viewed by the bulk of your target viewers. Actually, I was making so many common mistakes while promoting my youtube videos on my channel. But I followed Youtube SEO guidelines most of which is shown by your information here, and now I am getting a solid result for getting views & to my youtube channel. The one that really grabbed my attention, it’s the adding the targeted keywords at the beginning of the headline and the ideal use of video tags in YouTube Videos. Although I’ll continue working on optimized descriptions. Furthermore, by understanding this article, I got some more ideas. I would implement and see its further effect. I own newly started a youtube channel and soon having 4K subscribers, this article encouraged me to understand the exact tactics of youtube. I have got now many ideas about youtube promotion that advised me a lot to promote a video in Youtube channel. Thank you for sharing the article... Keep vlogging & sharing such informative articles. If you could message me with any hints & tips on how you made your blog look this cool, I would be appreciative i would also like to share nexter.org/category/video this website here for more videos ! !